At 33, Anna Pulley has already gone through a lifetime of what she wryly calls “adventures in deafness,” a litany of funny, frustrating, painful experiences that those of any age with hearing loss can appreciate. Pulley recently wrote an essay about it for New York magazine’s website The Cut. Titled “My Ridiculous, Romantic, Painful Adventures in Deafness,” it’s been shared by 1,900 readers at last count, meaning that hearing loss is beginning to hit home not only for boomers but also for millennials. She writes of the heartbreak of working as a teacher and being unable to understand the whispered confession of a student whose boyfriend was threatening her. And then there’s the confusing, exorbitantly expensive world of hearing health care. Pulley writes about the frustration of being able to afford only one hearing aid. Many retirees on fixed incomes know exactly how she feels. I also have to admit that I was gratified that she was helped by information in my book, Living Better With Hearing Loss. She had rejected a string of hearing aids over the years because the booming sounds they brought still made things incomprehensible. 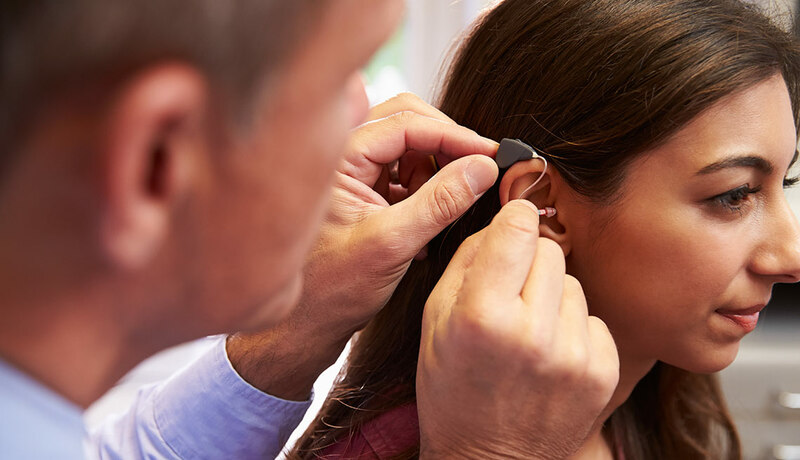 What “no audiologist or ear, nose and throat doctor had told me in the 14 years I had been trying and not trying to wear them…is that hearing aids take time to work. I had to learn about it from a book,” she wrote. Here’s my advice to Anna and anyone losing their hearing: Find others like you. It’s great to talk to people who understand what you’re going through. You could try joining the Hearing Loss Association of America (HLAA), especially if there is a chapter where you live. (Chapters are listed on the organization’s website, hearingloss.org.) Or try ALDA, the Association of Late Deafened Adults. Or the Alexander Graham Bell Association, AG Bell, for families and children with hearing loss. Unfortunately, age-wise, you fall through the cracks: probably too young for ALDA and HLAA (although there are some dynamic younger members of HLAA and even some groups devoted to young professionals). It’s worth checking with these groups for education and support. Pulley may have more company soon. Her generation is developing hearing loss from everyday noise exposure — earbuds, video games, sports arenas, concerts and plain old daily life. I hope young people listen. Her poignant observations nearly made me cry with sympathy. I hope that Anna’s article is read by many young people. Her hearing loss is not noise induced but most is. Millennials, and boomers, this could happen to you, if you don’t take care of your ears. Listen to Anna Pulley: Hearing loss is hard. And it’s not fun. You really nailed the issues of the younger set — some of whom are trying to figure out who their place in the world anyway…then add hearing loss! Yes, it’s very difficult, especially when it’s unexplained and comes on in adolescence. We had a young professionals group split off from our New York Chapter but it’s much harder for younger people to organize themselves — too many competing interests, frequent moves, job changes etc.